In pursuit of a diamond, Lara Croft battles a large robot in an Egyptian tomb; she disables it by ripping out its circuits. The diamond, revealed to be a memory card, is inserted into a laptop computer inside the robot to play music. 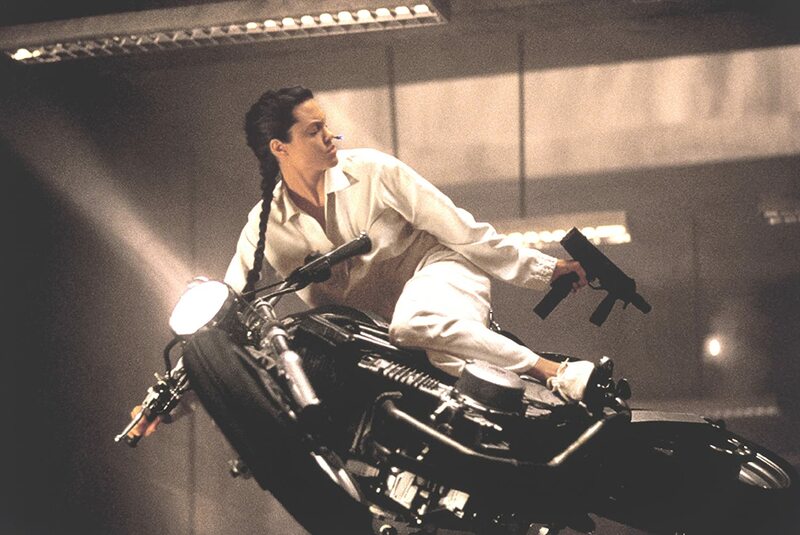 The fight took place in a practice area of Lara’s home and the robot was programmed by her technical assistant Bryce to challenge her in combat. The first phase of a planetary alignment, culminating in a solar eclipse, arrives. In Venice, the Illuminati search for a key that will rejoin halves of “The Triangle”, which must be completed by the final phase. Manfred Powell, an Illuminati member, assures that they are almost ready, but actually has no idea of the location. Hilary, Lara’s butler, tries to interest her in several projects, but on account of the anniversary of her father’s disappearance, Lara is not interested. She dreams of her father telling her about the alignment and an object linked to it, the Triangle of Light, and awakens to a clock ticking. Lara finds the clock and Bryce discovers a strange device hidden inside. Lara consults a clock expert friend of her father’s, Wilson, who claims no knowledge of the clock or the Triangle when Lara mentions a possible connection. Wilson gives Lara’s name to Powell in regards of the clock. Lara encounters Alex West, a fellow tomb raider with unscrupulous methods and for-profit attitude. Lara shows Powell photographs of the clock; she later points out to Bryce that Powell was lying about his knowledge. That night, armed commandos invade the house and steal the clock despite Lara’s attempts to fend them off. The next morning, a letter from her father, arranged to arrive after the beginning of the alignment, explains that the clock is the key to retrieve the halves of the Triangle of Light, an object of phenomenal destructive power which grants its wielder power over time and space. The Triangle destroyed the city it was housed in after misuse of its power. It was then separated in half; one was hidden in a Cambodian tomb, the other in the ruined city, now part of modern-day Siberia. Her father urges her to find and destroy both halves before the Illuminati can find it. In Cambodia, West figures out part of the puzzle on how to retrieve the triangle half. However, West is incorrect and Lara figures out the true puzzle, informing West and Powell that what they thought was the correct holder for the key was but a reflection. She reminds Powell that they only have so many seconds before the opportunity is gone for another 5,000 years. Powell, realizing West was wrong and that Lara is right, and that she is the only one who can solve the puzzle, throws her the clock. Lara proves she is right as she inserts the key and the half of the triangle is revealed. Before everyone can leave, the liquid metal which came out with the piece brings the statues in the temple to life and attacks the team killing some members. 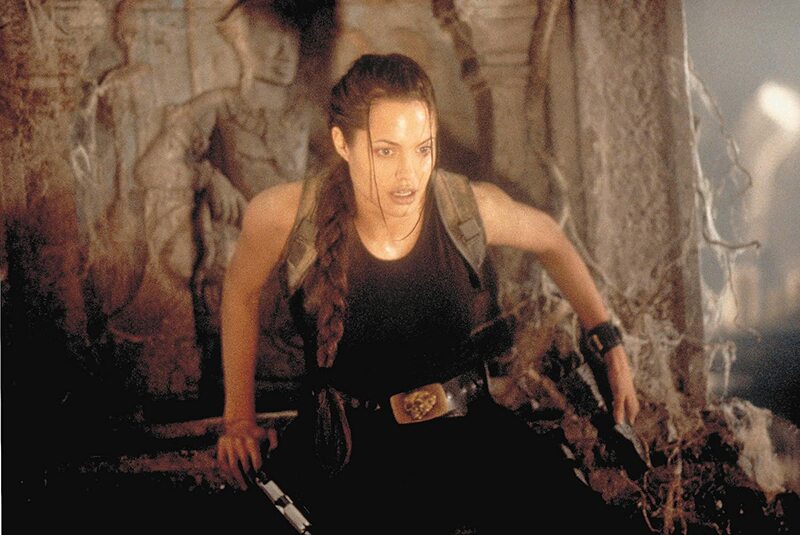 Lara is left to fight off and destroy a huge six-armed guardian statue which is the last one to come to life. She successfully defeats it and leaves the temple by diving through a waterfall. She then travels to a Buddhist town where a young monk welcomes her. After a worship service, an aged monk who serves as the chief gives Lara some tea and as they converse, he reminds her to get a much needed rest to continue her father’s mission, implying that that monk might have been Lara’s father’s acquaintance. She and Powell arrange to meet in Venice, since each of them has what the other needs to finish the Triangle. Powell proposes a partnership to find the Triangle, and informs Lara that her father was a member of the Illuminati, which she vehemently denies. Though hesitant at first, she, along with Bryce, meets with Powell for the trip to Siberia. Entering the tomb, the teams discover a giant model of the solar system, which activates as the alignment nears completion. Lara retrieves the last half of the Triangle, but when Powell tries to complete it, the halves will not fuse. He realizes that Lara knows the solution to the puzzle, and kills West in order to persuade her to complete the Triangle to save both West’s life and her father’s. Lara reluctantly complies, and they then struggle for control of the Triangle, with Lara prevailing and saving West’s life. Lara then finds herself in a strange alternate existence facing her father Lord Richard Croft (Jon Voight). He explains that it is a “crossing” of time and space, and urges her to destroy the Triangle instead of using it to save his life. 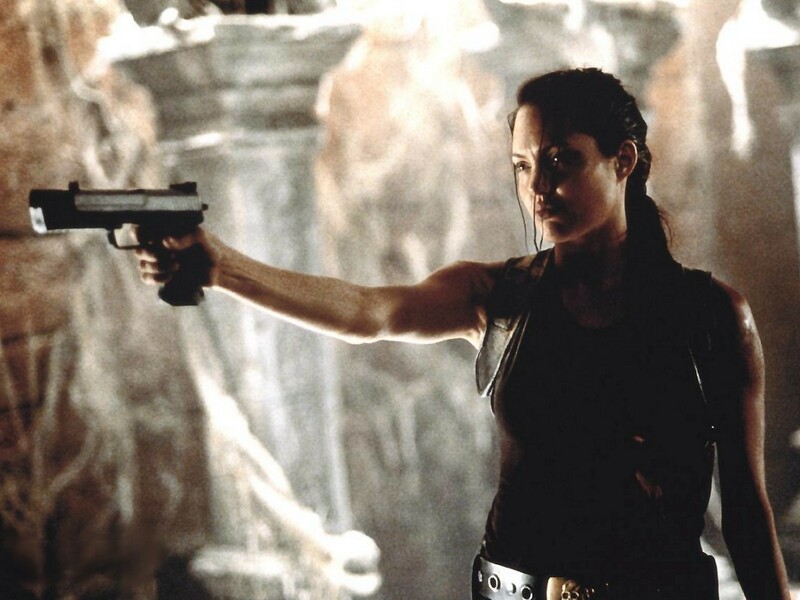 Lara leaves her father and returns to the chamber, where time is slowly running backwards from the point where Powell killed West. Croft takes the knife Powell threw into West’s chest and reverses it, then destroys the Triangle, which returns time to its normal flow and directs the knife into Powell’s shoulder. The chamber begins to self-destruct. As everyone turns to leave, Powell reveals to Lara that he murdered her father and stole his pocket watch with a picture of Lara’s mother inside as a trophy. Lara and Powell engage in a hand-to-hand fight. Lara kills him, retrieves the pocket watch, and escapes as the chamber crumbles. At the mansion, Hilary and Bryce are shocked to see Lara wearing a dress. She goes into the garden to her father’s memorial, then returns inside, where Bryce has a reprogrammed SIMON, ready to challenge Lara once again. Hilary reveals a silver tray holding Lara’s pistols, which she takes with a smile. A fun movie, indeed in the line of the Indiana Jones’ features. Nice effects, a strange and interesting plot which does make sense most of the time, some good acting by the team around Croft. The right thing if you want relax and take off to the world of fantasy for a short time.